Sebastian Sherbrook is a scoundrel and a rake so it doesn’t surprise anyone that on returning to England he is almost immediately called out by the father of a young woman who has found herself pregnant and without a ring. Nobody believes his protestations of innocence and least of all the only woman he has ever loved. The woman he returned to England with the hope of courting. But with his reputation in tatters his slim hopes of wedding Lady Katherine disappear. For her part, Lady Katherine has always loved Sherbrook but she is a fallen woman after being seduced by her music teacher at the age of 15. She doesn’t consider herself worthy of his affection and her frosty demeanour is more about protecting her heart than anything else. It is left to her closest friend the Duchess to use her wiles in the hopes of getting the two together, but with dognappers after Katherine’s dogs, a Squire wanting to force Sherbrook down the aisle, a blackmailer, an elderly French toff, and their friends all meddling nothing is going to come easy. Virtuous Scoundrel is a complete romp. It has the perfect blend of drama and farce and honestly it’s a hoot from start to finish and well worth the effort. Lovers of Regency Romance will love this book and I’m reasonably confident that anyone who picks it up will enjoy it. 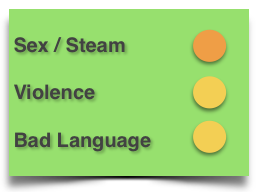 You don’t need to be a woman or a fan of historical fiction. It’s that good. 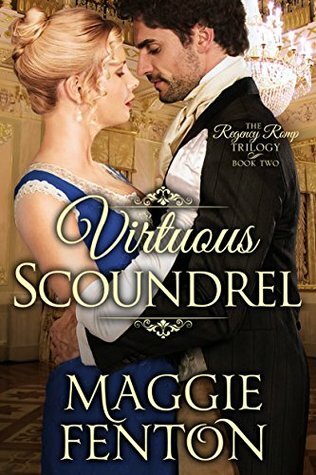 This entry was posted in Uncategorized and tagged Maggie Fenton, regency romance, regency romp, The Duke's Holiday, virtuous scoundrel by setaian. Bookmark the permalink.